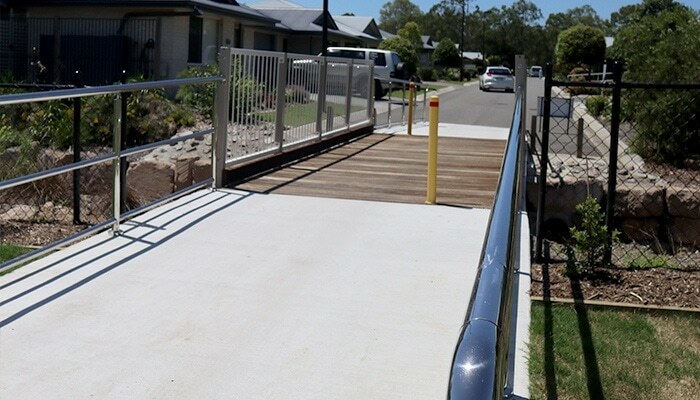 The amenity provided by this relatively short pedestrian bridge installed by Landmark in a retirement village belies its size. 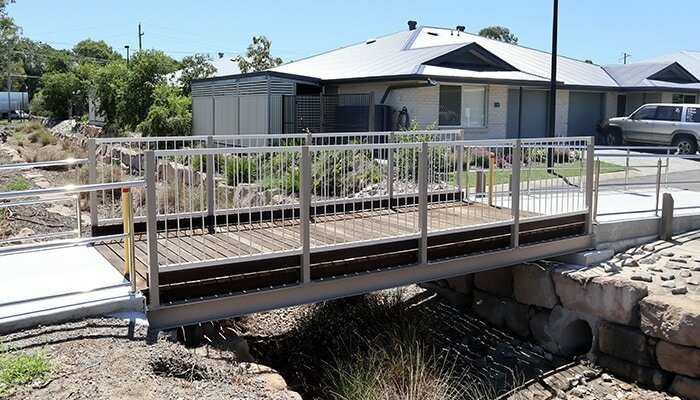 At only 6.5 metres long, this modified Condamine steal I-beam bridge (K1103) allows residents of The Village retirement village at Rockwell to more easily access facilities such as the bowls club and the bistro. 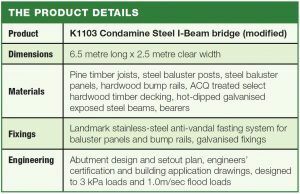 The bridge features ACQ treated, selected hardwood timber decking, hot-dipped galvanized steel beams, bearers, posts and baluster panels. 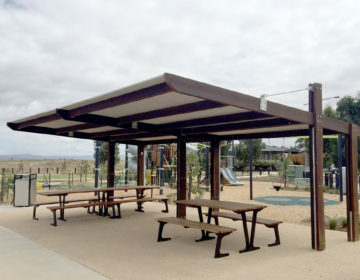 Landmark organized all engineers’ certification, abutment and set-out plan, building application drawings, as well as installed the bridge.